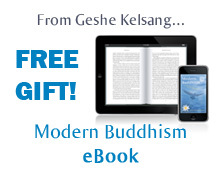 Welcome to the website of Manila Kadampa Buddhist Centre (MKBC). Manila Kadampa Buddhist Centre (MKBC), is a buddhist organization based in Makati City, Philippines. It is a member of the International Kadampa Buddhist Union. The object of the Centre is to promote the Buddhist Faith of the New Kadampa Tradition through which to promote the human values of morality, compassion and wisdom in all aspects of society, leading to personal peace and a meaningful life, and to tolerance, social peace and welfare. The Centre shall work to fulfil its Object through the activities of study, practice, teaching and the observance of moral discipline based upon the continuous implementation of the three New Kadampa Tradition Study Programmes. MKBC currently conducts classes, teaching and meditation sessions at the training center of Philippine Center for Creating Imaging (PCCI) at 2247 Chino Roces Avenue, Makati City, Metro Manila. We don’t have a permanent facility so please call or send us an email if you are dropping by outside of the scheduled classes. See contact information at the bottom of this page. The teaching will not only touch on relationship between couples but also between parents and their children, between siblings, and between close friends. Please help us promote this by forwarding it to your friends and relatives who maybe interested.